Our 4/20 Deals have officially been launched! $10 Superfood Granola Bars with 50mg of THC, all from the awesome Edibology! Tax included. About Us Tucked away on a busy side street in Northeast Portland you’ll find Home Grown Apothecary. With its beautiful floral mural and colorful garden, visitors might mistake Home Grown for just another quirky Portland home. Little do they know, Home Grown is the most comfortable and welcoming cannabis dispensary in the Northwest. Often described as a place where even your grandmother would feel at ease, shopping at Home Grown feels like visiting your friend’s house. The knowledgeable Home Grown staff takes the time to get to know you. They can tailor recommendations specifically to your wants, preferences, and reasons for cannabis use. You can be sure that your ideal strain is grown organically and free of pesticides and fertilizers, and your favorite edible will be free of corn-syrup and artificial dyes. ADA accessible - ATM on-site Home Grown Apothecary is a Portland Recreational Marijuana Dispensary Home Grown Apothecary is nestled in northeast Portland and welcomes residents and traveling customers alike to their Portland location. Home Grown Apothecary was the first dispensary in Portland to become recreational and has been voted to have one of the top 3 organic cannabis selections in the state. 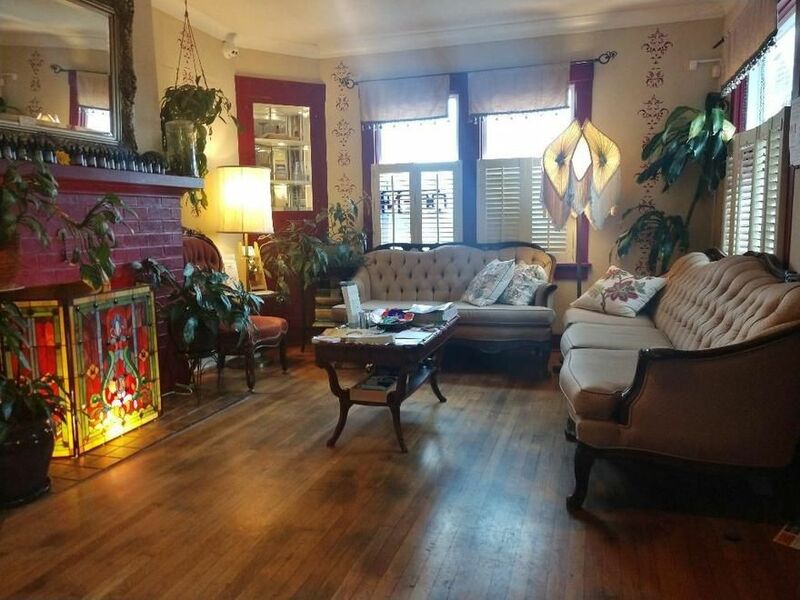 The Home Grown Apothecary is woman owned and operates in full compliance with Ballot Measure 67. Their goal is to spread cannabis knowledge and provide marijuana users with the finest marijuana products. Customers with questions can contact the team by phone or via email and social media. Menu Home Grown Apothecary carries more than 100 high-quality cannabis products. Their vast inventory includes locally grown strains from growers including Big Beard Farms, Kumba Hills, and Endless Organics. Home Grown Apothecary is known for carrying High CBD flower strains including Pennywise (1:1) and Ozma (High CBD) among other top-shelf cultivars like DogWalker, GG4, Blue Dream and OG Kush. They have a large array of CBD products and offer everything from RSO to edibles, concentrates, and topicals. Portland customers will find themselves surrounded by a massive assortment of organic cannabis-infused edibles from gummies to baked goods. Wake and bake with a cup of cold brew coffee with a touch of THC or enjoy the cranberry sparking tonic in 1:1 THC CBD formula. Their collection of extracts includes designer dabs from ClayWolf, Calyx Crafts, Pangea and Kumba Hills. Home Grown Apothecary emphasizes their menu of topicals and tinctures. They offer topicals like lotion and soaking salts from Weedmaps’ Verified vendor Sacred Herb Medicinals (CBD), as well as other vendors. Their menu also includes a large variety of smoking accessories. Home Grown Apothecary accepts cash with an ATM onsite. 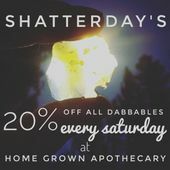 Deals Stop by Home Grown Apothecary for 20% off all dabbables every Saturday! For more weekly deals and specials, customers can check their website or follow Home Grown Apothecary on Weedmaps, Twitter, Facebook, and Instagram. Service Locations Home Grown Apothecary is a dispensary decorated with a floral mural and a vibrant garden that provides safe access to top-quality cannabis products. They are located next to the Lloyd Center on Pacific Street and 20th Avenue and cater to customers in Portland, Oregon City, Tigard, Beaverton, Forest Grove, and Hillsboro. Home Grown Apothecary offers street parking near the dispensary and services marijuana consumers in Tualatin, West Linn, Newberg, and Canby.